It is undeniable that the Philippines is among the countries most obsessed with mobile technology, with the country generating 10% of global SMS at one point. With the advent of smartphones and instant messaging apps, we are seeing fewer SMS being sent out, but also witnessing how smartphones are becoming an increasingly integral part of our lives. 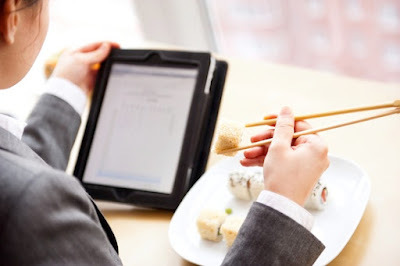 Tablet computers, in particular, are now seeing more use in a variety of settings, and even the Filipino restaurant industry has begun to utilize them in the form of digital menus. Stores in other parts of the world have already established a tablet-ordering system, claiming that it is a great investment in favor of their customers. Some retail stores and warehouses have also implemented digital menus and catalogues, with the system expected to improve the efficiency and accuracy of order picking while saving in labor and paper costs. There’s always been a lot of concern as to how the mobile industry would affect businesses, and some restaurants have reported that the increased usage of mobile phones has slowed down table turnover times in restaurants. 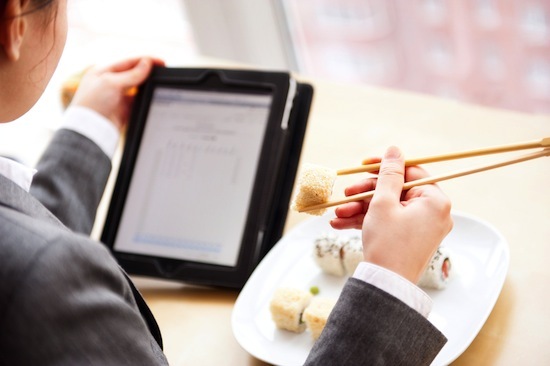 Reports by CBS, however, have said that tabletop tablets have sped up service times considerably, as guests of restaurants no longer need to queue up to the counter to place orders. While the technology is yet to make it to the Philippines, the Manila Bulletin reports that it shouldn’t be too far off, as many restaurants have already begun upgrading their equipment to better suit modern needs. How would you feel about ordering on a tablet computer? Chili’s system also introduces games, which keep customers busy while waiting for their food to arrive, so it would definitely be a great convenience, but could these take away from the experience of eating at a restaurant too? Let us know! Earth Kitchen Opens in BGC! [UPDATED] 4th Anniversary Giveaway #8: Ippudo!